One of the most recent luggage crazes in the US has been Away luggage. After seeing several ads for this luggage pop up in my various social media themes, and doing a bit of research, I decided to take the plunge and buy one for myself. 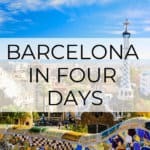 When making an investment in mid-priced luggage, I think it’s best to be as informed as possible before making the purchase. 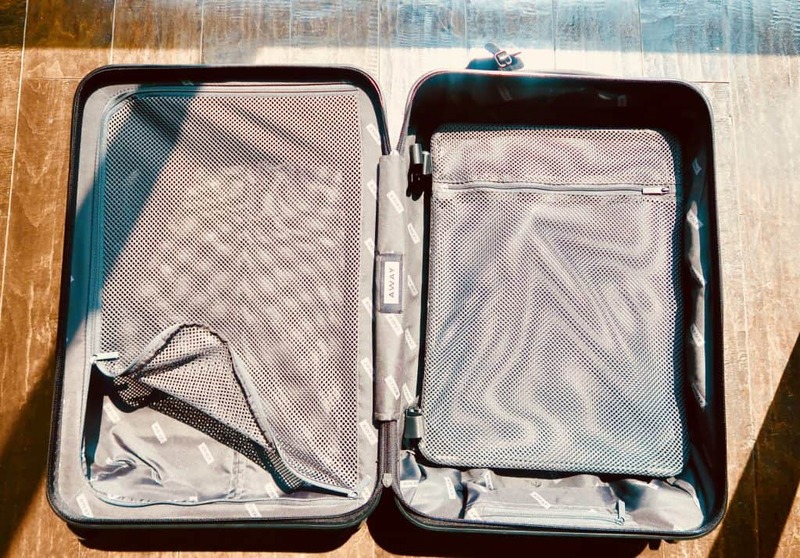 This post will feature my honest away luggage review, and will specifically focus on the Bigger Carry-On. **I went with the Bigger Carry-On, as I found it to be the most versatile in terms of capacity / size. 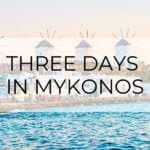 Now that you are familiar with what Away has to offer, let’s jump right into the review! This bag fits restrictions for all US Carriers, but may have to be checked at the gate on those smaller planes. If you want a bag to use on low cost carriers in Europe, such as Ryan Air and EasyJet, you should look into “The Carry-On” instead. Look/Feel– This bag is very stylish, yet simple. It’s hard to find a bag that looks better, in my opinion. I really love the brick-red color, which also makes it easy to identify at the baggage claim. Charging Port – Both of the carry-on sizes come with a charging port with an electable battery. This is an absolute lifesaver if you are traveling for long periods of time and can’t readily access a plug. The battery that comes with the suitcase can charge your phone 3 times over once fulled charged, which is really great for peace of mind. Additionally, the charger comes with international outlets, so you won’t have to use your converter to charge it! Compression System– The interior of the suitcase comes with a compression shelf that can be used to help you fit more into it! It is only on one side, but the opposite side comes with a mesh cover that leaves almost no room for stretching. This helps keeps all your harder items (e.g., blow dryers / shoes) in one place and away from your clothes. Also, this suitcase does not allow for expansion – another great way to keep your stuff neatly packed and compressed. 360º Hinomoto Wheels – The wheels on this suitcase move super smoothly. You can spin this bag in a circle with no problem, which makes it easy to navigate as you travel through the airport of walk through city streets. Built in TSA-Approved Lock – I typically don’t use the locks while traveling, but find them useful when storing luggage in an open area. For example, the hotel reception or inside an Airbnb after checkout. 100-Day Trial + Lifetime Warranty – All Away luggage comes with a 100-day trial. This means you can return the bag after 100-days, no questions asked, and get your money back. Away also provides a lifetime warranty (! ), which means they will fix or replace any damaged bag – forever! 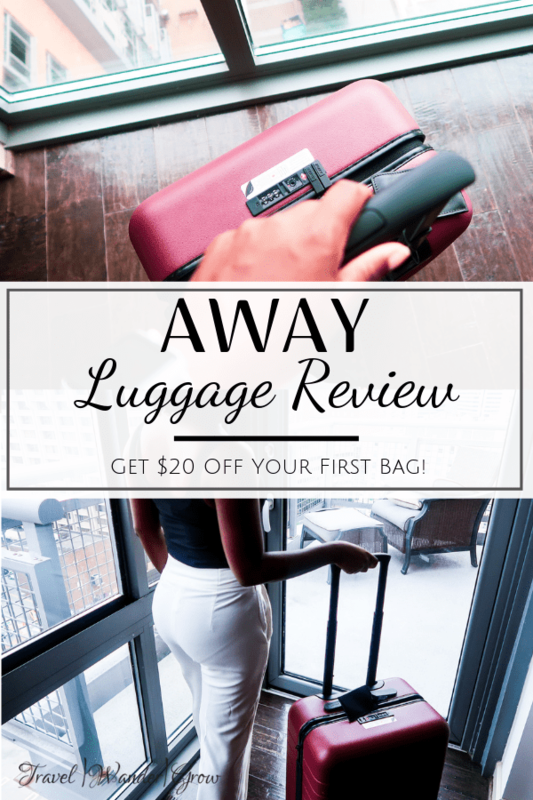 If you are interested in purchasing Away Luggage, you can use my link to get $20 off your first suitcase! Close up of the lock system. Weight – This bag is a bit heavier than I expected, but that is only due to the fact that it has the charging station. You do have the option to get the carry-on without this option. 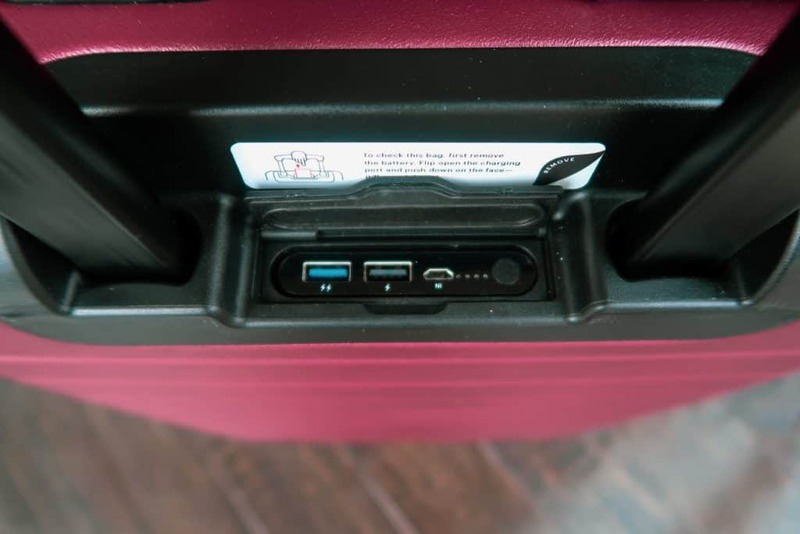 Removing the charging station will make the suitcase lighter and give you a bit more packing space. It’s really up to you to decide what makes the most sense for you. 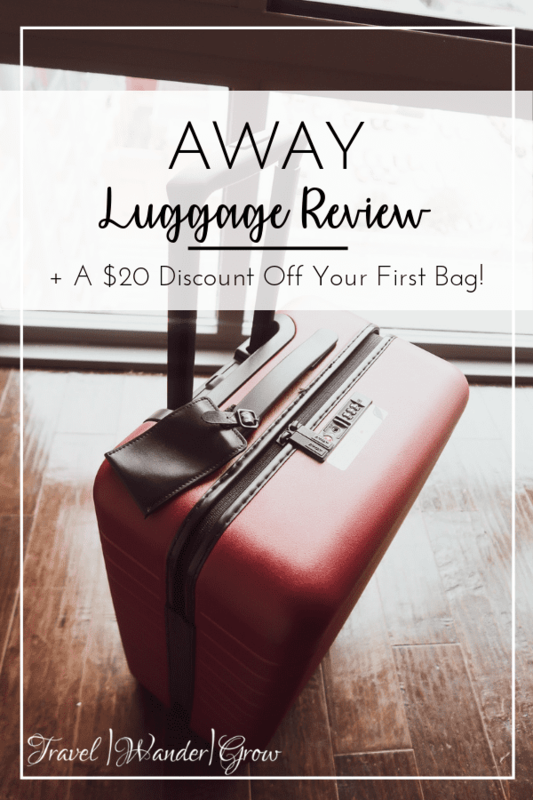 I wanted to wait until I used this bag on a couple of trips before I wrote a proper review. Since buying this bag back in June, I have traveled for about 2 weeks in Europe and also for 4 days in Louisville, KY for work. During my trip to Europe I traveled in five different planes as well as a train, so it got a good workout. The suitcase came nicely packaged in a large box, and within a canvas bag. 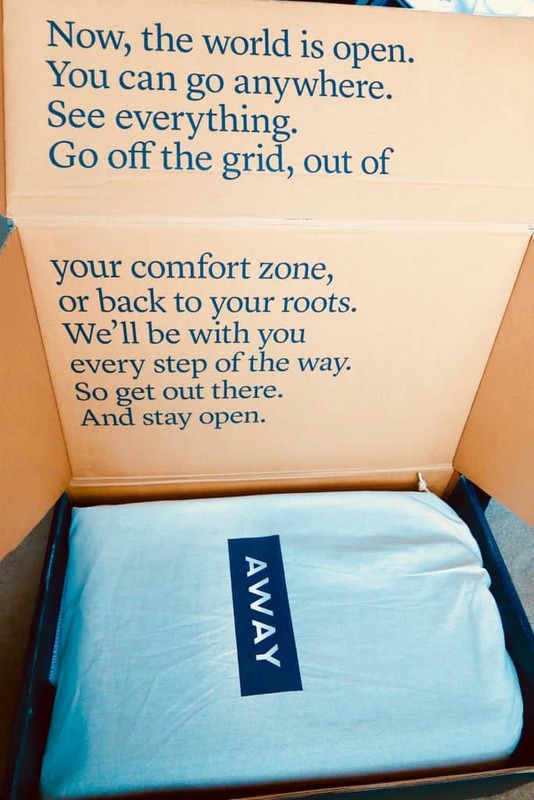 The company recommends that you keep your suitcase within the bag while it’s stored away. Unboxing my suitcase! Love the touch of the quote on the inside of the box. I will also note that the bag shipped pretty quickly. I chose standard shipping and received it in less than a week. Mobility – This suitcase performed very well on the cobblestone streets you often find in Southern Europe, with no damage to the wheels. Capacity – As you’ll note, I did fit everything + a few extras into this bag for 2 weeks of travel. For this reason, I’m very impressed with its ability to handle capacity. 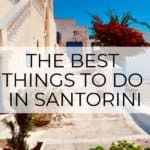 I’m a firm believer in packing light (as mentioned in this post), so this checks a big box for me! One surprise feature is that the laundry bag included with the suitcase also acts like a compression bag. It’s really great for stuffing full of dirty clothes and keeping its size/shape. Bonus Features – I find that I use the charging port often. This really beats trying to jockey for a spot at a charging station located in the airport, for example. I did keep forgetting that the battery should be removed when checking luggage, so I’m pretty lucky that I still have mine! The interior of my away luggage. The compression system is on the right while the left side is meant for holding items such as shoes or hats. 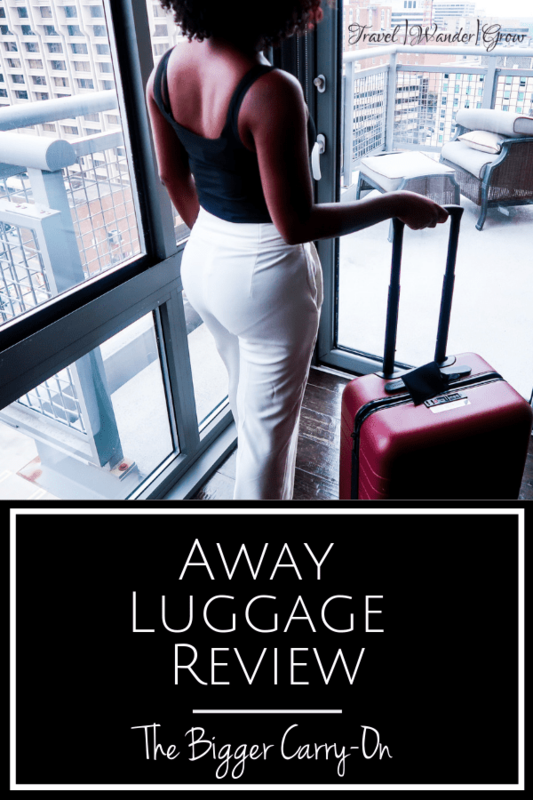 To close out my away luggage review, I’ll conclude by saying I love my away suitcase! It is by far the best suitcase that I have bought before. And on top of the benefits I’ve listed above, I just really love the look and feel of the AWAY Bigger Carry-On. 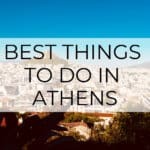 Do you have Away luggage or are you considering buying a suitcase from Away? Let me know in the comments below! Thanks for this review on the Away suitcase. I’ve been seeing them a lot on my social feeds so have been curious about them and if they’re worth the price. My biggest concern was how it handles cobblestone streets so happy to hear that it passed your test of using it on one! I’m also a big fan of packing light so would likely look at one of the carry-on sizes myself! That was one of my key concerns too, Cynthia. 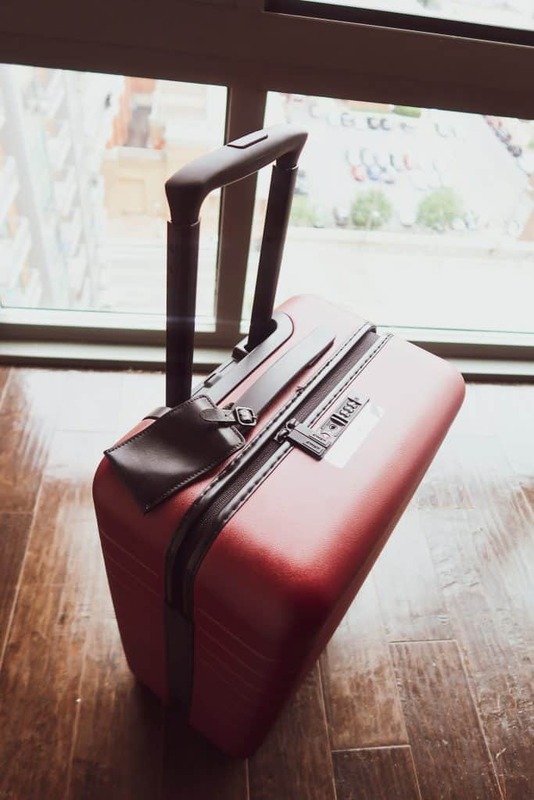 Glad that I could answer some of you questions on this suitcase! Always looking for just the right carry on – this is super helpful. I’d like to try the Away bag. Ha – I felt the same way, Leah! Looks like a great piece of luggage! We go on a family cruise every year and try to fit as much as we can in as little luggage as possible. This suitcase would be amazing for me and the 2 kids to fit everything in it! I really think you could do it, Amanda!! I am a Corporate Flight Attendant and I provide additional services on board. I am in need of luggage that will allow me to carry all the tools I need and not check a bag. I have been deciding on the away for a while. Its either this or the Smart birdy. I need something that is more functional. I like this review. I think this would absolutely be a great choice for your Antonika (or the smaller version of this one). Hope you are able to make a choice soon! Looks like a great piece of luggage. The compression is key and the charger port is an absolute game changer! Yes, I 100% agree! It’s make travel so much easier. Looks like a nice and sturdy bag! I always use carry-ons for my travels so this would be perfect for me! I like the sections inside of it! I was in the market for a new suitcase recently and looked at Away, but the price point was a bit too high for me. Wish I’d known about the 100-day trial though! Maybe the next time I need a suitcase, because it really does sound like a great investment! Thanks for sharing, and especially highlighting that its size may cause trouble with low cost carriers. I keep seeing Away bags too! This review was really helpful! I may have to invest in one for our next trip. The Away luggage seems to have a complete range on offer. Though the really large ones are something that probably one would only use when moving lock stock and barrel from one place to another. I like the fact that it has charging ports, which is so essential nowadays. Also, I find that it has lots of space too which is so important. 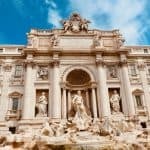 I loved your honest reviews on Away Luggage. 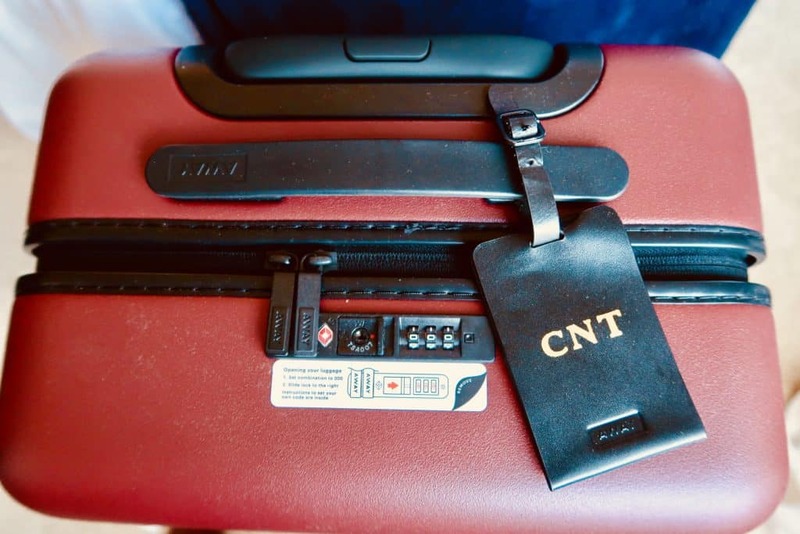 Though the luggage piece is heavy but due to charging port inside the suitcase sounds something unique and really useful. Thanks for sharing! Thanks for the review! Have you run into any issues with the larger carry on during your international travels? I know international flights tend to be more strict on overhead space. Debating between the two sizes and just can’t decide which is best for my travels. Great question, Brianna! I would say yes, the larger carry-on may give you some issues if you try taking it onboard some of the cheaper international carriers (e.g., EasyJet). If that’s what you plan to use it for the most, I’d say get the smaller carry-on. Hope that helps!